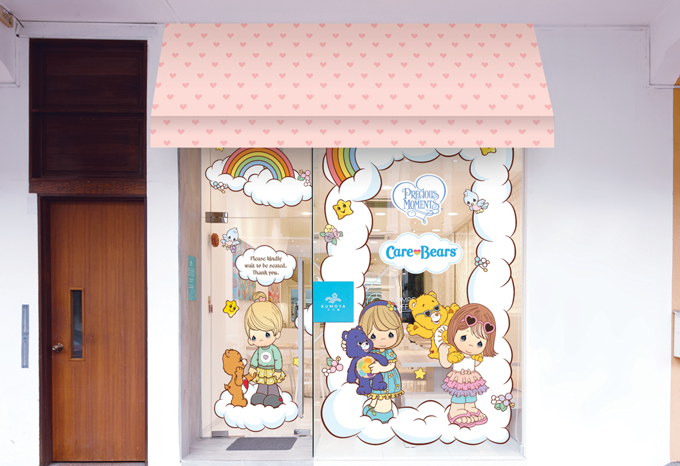 First Ever Precious Moments X Care Bears Character Cafe Coming to Singapore This April! Hot on the heels of their last pop-up featuring the cuddly Japanese cat Pusheen, French-Japanese-inspired cafe Kumoya will be transforming into yet another character-themed establishment as they team up with not one, but two familiar childhood brands. 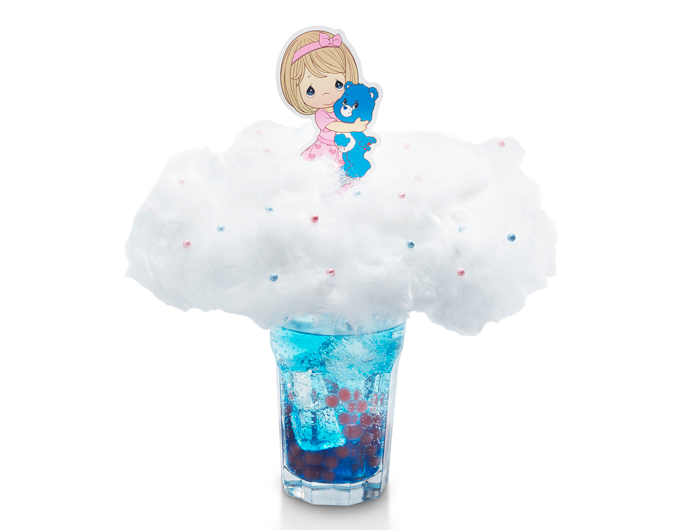 Touted as the first-of-its-kind co-branded concept, this new collaborative project between beloved franchises Precious Moments and Care Bears will be popping up from 18 April to 30 June, bringing along a curated selection of cafe exclusives that allow ardent fans to get the best of both worlds in one space. Not sure how these loveable characters will come together? 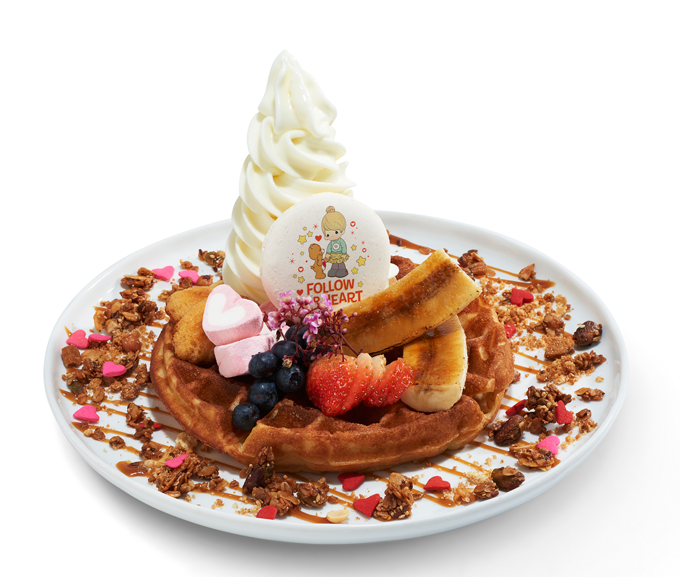 The menu will feature a combination of the two sets of characters, curated by the experienced Kumoya team with the help of Singapore food blogger Shirley Wong (@littlemissbento) – the same team behind previous successful cafe renditions such as Cinnamoroll, Miffy and My Little Pony. As such, we’re sure the various food offerings (all prepared without pork, lard and alcohol) will look incredibly fitting in cute, pastel-themed social media feeds. Ahead of its launch, here’s a sneak peek of you can expect. 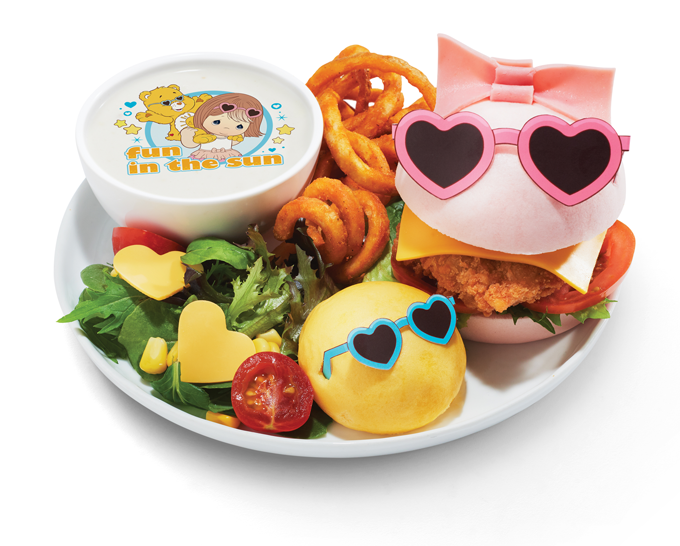 Besides the grub, the cafe decor will also feature specially designed original art combining characters from both series. Exclusive merchandise such as adorable figurines, a whimsical musical box and collectible photo frames will also be launched to celebrate the opening, which will make perfectly adorable additions to your dream bedroom. 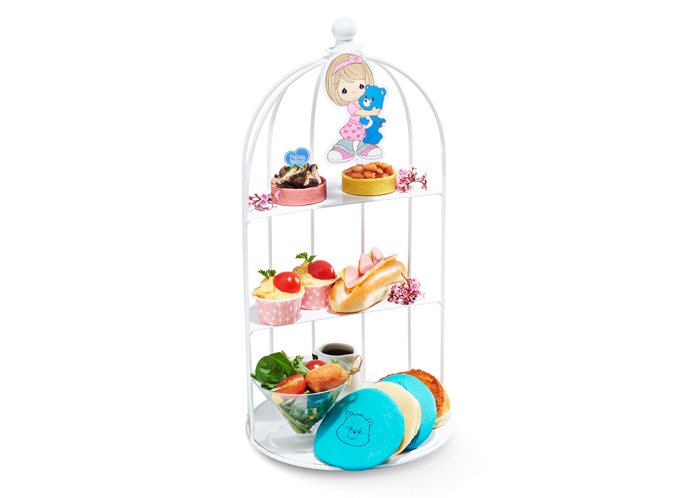 Precious Moments and Care Bears Pop-Up Cafe runs from 18 April to 30 June 2019 at Kumoya, 8 Jalan Klapa, Singapore 199320. In an effort to raise awareness on the importance of environmental conservation, WWF, Google, Netflix, PHORIA and ArtScience Museum have come together in a joint collaboration to present the first ever social augmented reality (AR) experience in Singapore: Rewild Our Planet. 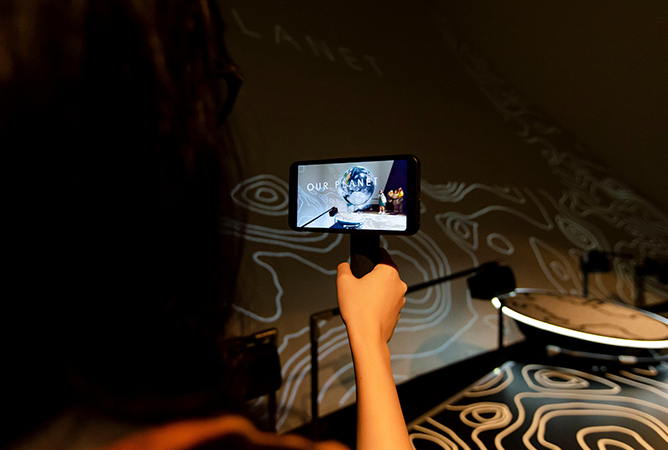 From now till 2 June 2019, our very own ArtScience Museum will be housing an interactive AR experience that allows you to explore real-world natural landscapes using cutting-edge AR technology, which is developed with footage from Netflix’s brand-new original documentary series, Our Planet. This means you can go on a virtual trek around the planet – from exploring the forests of Borneo, to diving deep into the coastal seas of Southeast Asia – without worrying about your carbon footprint. Narrated by world-renowned naturalist Sir David Attenborough, this sensorial experience aims to build a multi-sensory connection between mother nature and the human mind through immersive storytelling aided by IMAX-style projections and spatial soundscapes. Using the Google Pixel 3, you’ll have to work with other visitors to rebuild the environment that has been adversely affected by the actions of mankind – AR style. This enables you to unlock global weather patterns and magical animal encounters, all while being informed of the sustainable solutions that can help to conserve the environment. The best part? Admission is free, so you have no excuses to not do your part for mother nature. Rewild Our Planet runs from now till 2 June 2019, 10am to 7pm at the ArtScience Museum (Inspiration Gallery, Level 4). Visit www.marinabaysands.com for more information. Locally created night markets in Singapore (known fondly as Pasar Malam) have their own charm, but there’s something about the stunning Taiwanese renditions that never fail to draw tourists and locals alike. From their huge variety of authentic street food to various fashion knick-knacks, you can find nearly anything under the sun (or moon, in this case) when you’re at one such market – and none are quite as famous as the Shilin Night Market in Taipei. Craving some street food already? Good news is that you don’t necessarily have to whip out your passports – the famous night market concept will be coming to us instead. 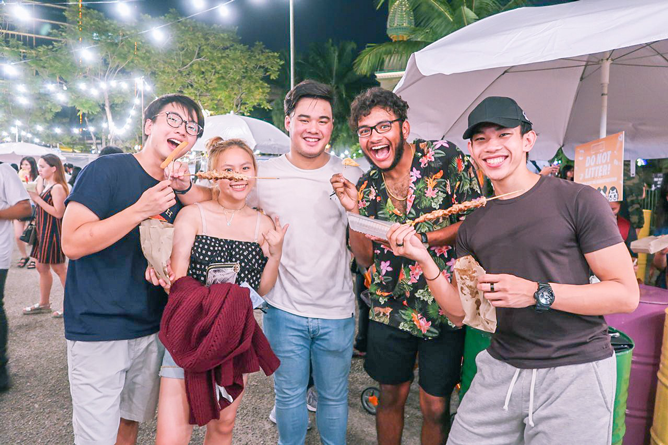 This April, The Ground @ Kranji in Singapore Turf Club will be transformed into Singapore’s very own rendition of the Shilin Night Market for two weekends. Stylised as Shilin Ye Shi and organised by pop-up creative market Artbox curator Invade, over 300 Taiwanese and local F&B operators alongside a plethora of artisanal retailers will take over the space to create a 3,000 capacity area with four distinct themes: 吃, 逛, 玩, 樂 (Eat, Shop, Play, Fun). Here’s what you can expect from each zone. Of course, it’s no surprise that the pop-up market is – first and foremost – a haven for the self-proclaimed foodie. In addition to the usual suspects of chicken chop and bubble tea, Taiwanese brands will also be introducing all-new, exclusive options to Shilin Ye Shi. Chicken specialist Hot Star will debut a Sichuan Mala-flavoured chicken chop for spice junkies, while bakery Kazo will have two special cream puff flavours just for the festival. Not to be missed is bubble tea fans’ beloved Gong Cha, where customisable options through a Bubble Tea Funhouse will be introduced for the first time. 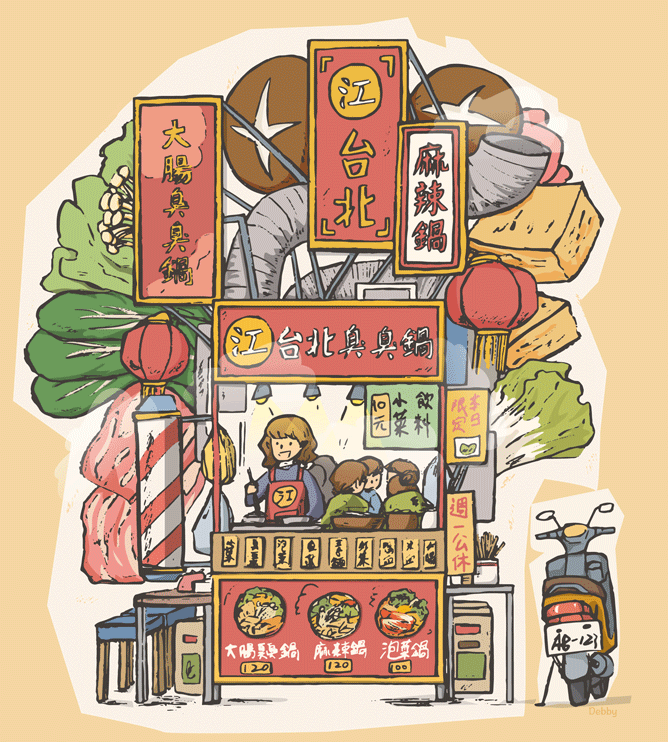 Other vendors include Huo Yan Shai Zi Niu (flame diced beef cubes), NUA Singapore (deep fried milk), Taiwan Waffle, Rice and Fries, Milk Bro and more. Food and fun are sure to be hand-in-hand at Shilin Ye Shi, so come down hungry! Frequent night market shoppers know that some of the best deals can be found at such places, so Shilin Ye Shi has made it a point to bring in a handful of artisanal retailers from Taiwan. Boutique brands such as accessories specialist Penguin Hand, fragrance company MIHER and shoe cleaner MOOD will be making an appearance – MOOD will even give all visitors a complimentary express shoe cleaning so they can wander the market in squeaky-clean kicks. Meanwhile, our homegrown labels won’t be outdone – our highlights are definitely handmade pouches and bags of the eco-friendly kind from Amusse and Cocoonese. And shopping comes with its own contest too! By buying the creatively packed food and travel essential packages from travel booking platform Klook, you stand a chance to win a trip to Taiwan – just remember to snap a picture with these products and share it! Possibly a little different from what you’d expect at a Taiwanese night market, 60 arcade games will be available in the Play zone for your gaming pleasure. 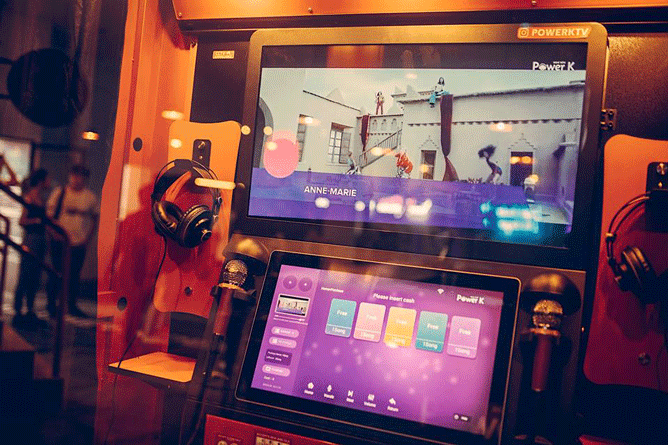 Human claw machines and carnival games presented by The Arcade People will be complemented by POWER K’s eight KTV booths for the avid performer in you, along with open-mic sessions scattered throughout the weekend. In a mystical twist, fortune teller booths will also be around for the curious – and if you’re not into that, drop by anyway to make and hang wish lanterns at the Make-A-Wish work-stop. So what’s the difference between the “Play” and “Fun” themes? 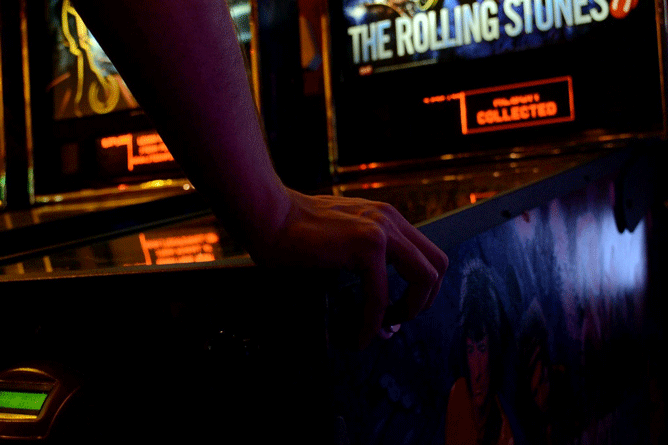 Instead of games, the “Fun” zone is made to entertain audiences through performances, movies and artsy photography spots. Be regaled by local singers – multilingual band Too Much Drama and bilingual singer-songwriters Ruth Kueo and Yokez – as they bring their melodious tunes to the stage throughout both weekends. As the night sets in, movie lovers can indulge in film screenings by local movie app Popcorn Singapore from 6pm on each day. And it’s not a festival without a bunch of Insta-worthy spots to spruce up your feeds. From the 10,000 square feet lighted windmill forest by Lanternfest Creative, to the Streets of Taiwan art mural illustrated by Taiwan-based artist Debby Lin, there are plenty of photo-ready areas for you to snap away – and show off your new purchases from the extensive night market! Shilin Ye Shi Singapore runs from 19 to 21 April and 26 to 28 April 2019 (3pm to 11pm) at The Grounds @ Kranji, Singapore Turf Club. For more information, visit www.shilin.sg! 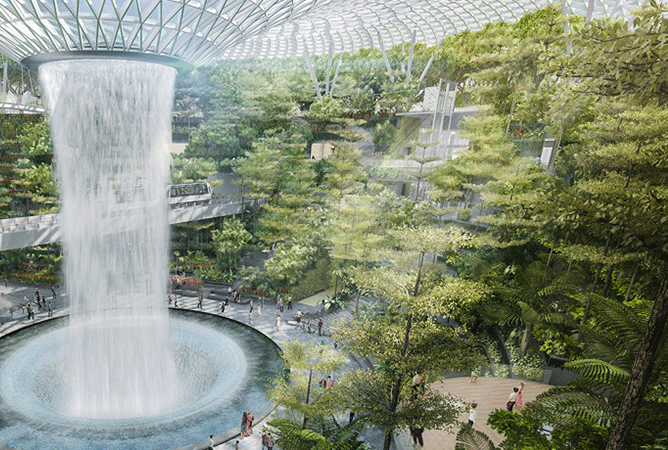 11 Reasons To Get Excited For Jewel Changi Airport: A&W, Shake Shack, Pokemon And More! Come 17 April, Changi Airport is set to morph into more than just a locale frequented by travelling Singaporeans and tourists. Prominently nestled in the heart of the busy airport hub, Jewel Changi Airport is the East’s answer to Orchard Road that houses a plethora of attractions, accommodations and over 200 retail and food outlets under one roof. Before you head down and get overwhelmed by the countless retail therapists, here are 11 hotspots you should definitely keep an eye out for. 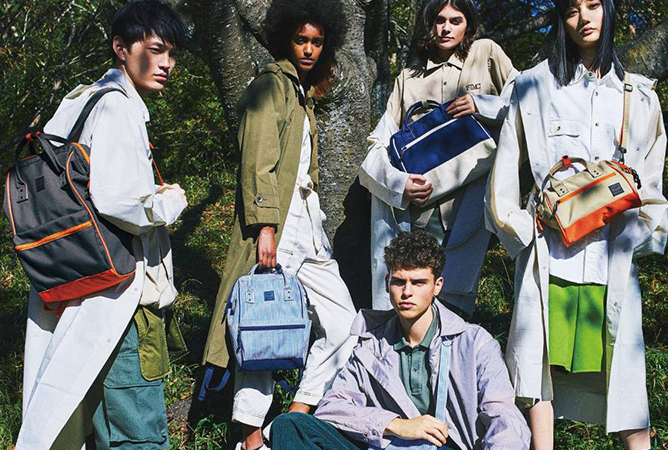 Since the brand’s subtle arrival on our shores two years ago, these compact but roomy backpacks originating from Japan will now be available in more colours and designs at Anello’s very own store at Jewel. Though not much information has been revealed about the new outlet just yet, we’re hopeful that their flagship store here will carry not just their signature styles but also newer designs that are currently available only in Japan. We can’t wait to check it out! After its disappearance almost 15 years ago, the beloved fast food chain is finally making its long-awaited comeback in Singapore. 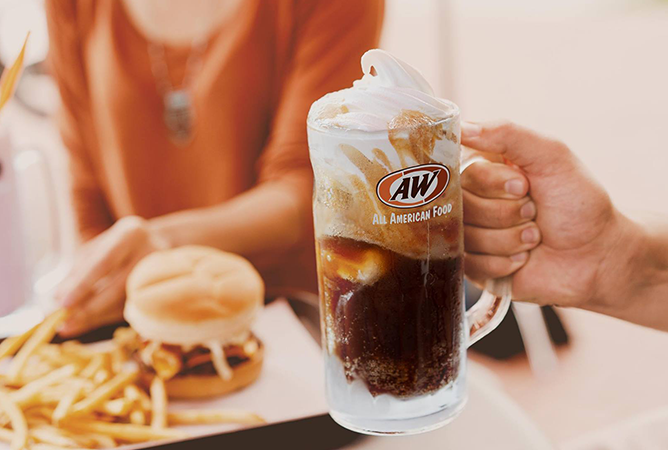 A&W aficionados would be delighted to know that this brand new outlet will not only give you nostalgic feels with the taste of their iconic rootbeer float and Coney Dogs but also with its retro, throwback setting. Oh, did we mention that you’ll also have a picturesque view of the Rain Vortex while you dine in? First launched in 2013, this homegrown fashion brand has since grown into a regionally recognised label with over seven international outlets in Bangkok, Jakarta and Manila. In Good Company’s third and largest standalone store at Jewel will not only contain a wide selection of wardrobe-ready pieces for your shopping pleasure, but it also shares the space with local gelato artisan Birds of Paradise, where delightful scoops of botanical-inspired ice cream awaits you upon arrival. Calling all sweet tooths! 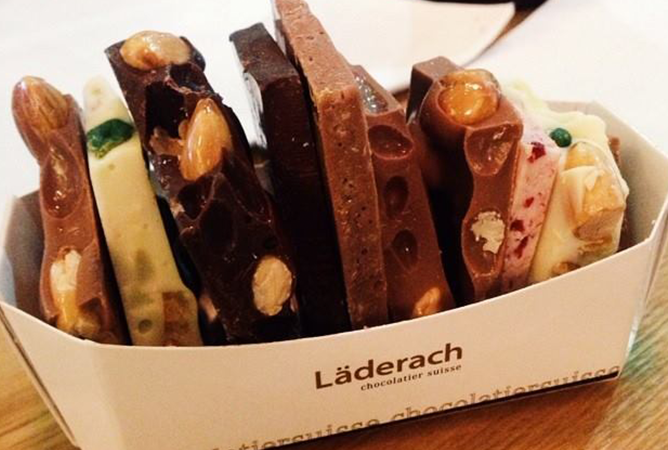 When at Jewel, you simply cannot miss out on a trip to Läderach where you’ll find delectable Swiss chocolate of all varieties. Having only done pop-ups in the past two years, this will be the chocolatier’s very first brick-and-mortar store on our sunny island – and you can bet that it’s going to be filled with massive slabs of their house-made frischschoggi or fresh chocolate, which you can purchase in smaller pieces to enjoy back at home. 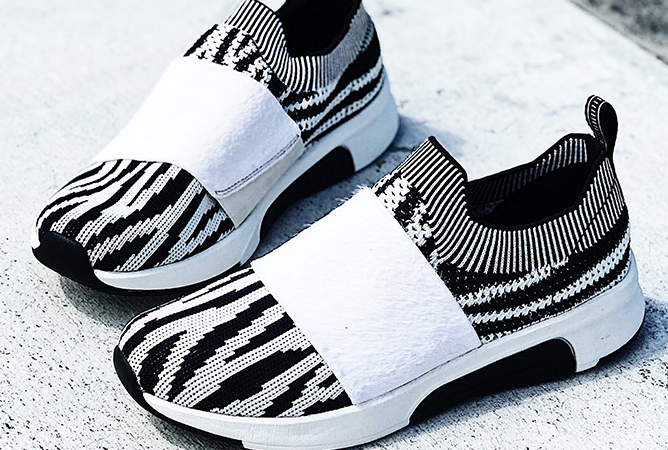 Joining the assortment of lifestyle tenants is the second Mark Nason Los Angeles x Skechers store, which features pieces made with premium materials and beautifully crafted details inspired by the iconic seventies rock and roll era. Like its first store at Bugis Junction, you can also expect to find the existing collections for both footwear and apparel in this brand new space. You can always find a reason to update your wardrobe and New Balance knows that. 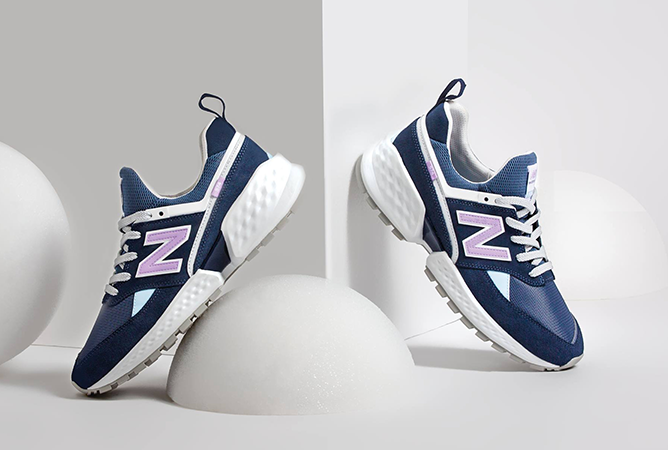 Apart from their available range of streetwear apparel and sneakers, you can also find the brand’s soon-to-be launched #NewBalanceSandals collection featuring boldly coloured slides and athleisure sandals that serve to make a statement with your outfit. 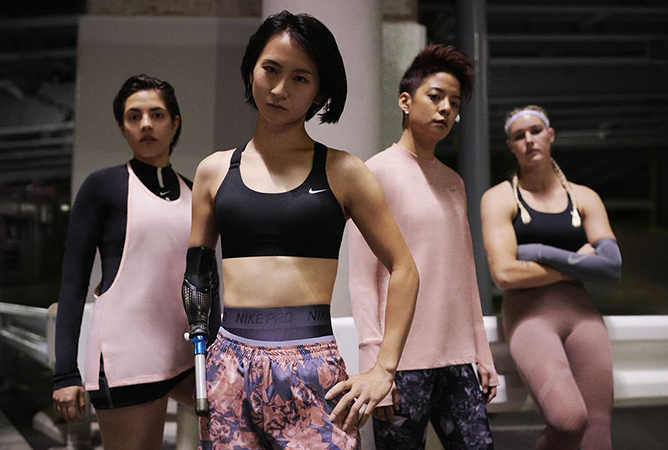 If you’re a Nike fan, you definitely can’t miss a visit to their largest outlet in Singapore where you can browse the latest and most extensive range of Nike footwear, apparel and merchandise. This new duplex store will also house a Nike By You customisation area, where shoppers can get the opportunity to customise their very own Nike T-shirt and footwear purchases! Who needs to take a plane to Japan when you can fulfil your Pokemon trainer dreams right here in Singapore? 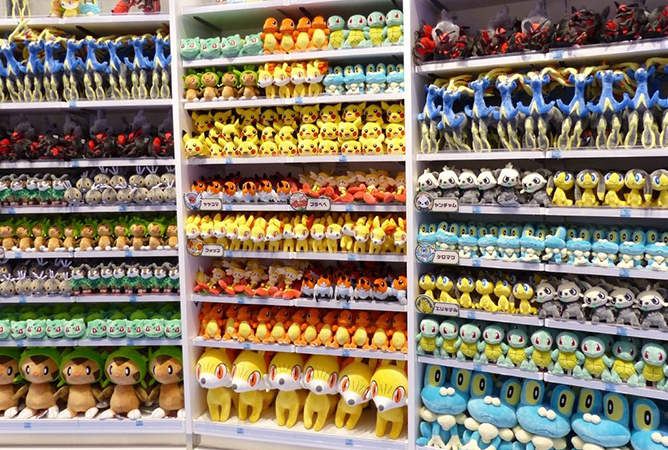 The Pokemon Centre Singapore is bound to excite fans with adorable Pokemon goodies that include accessories, plushies and apparel. What’s more, this flagship outlet will also carry exclusive merchandise and collectibles that are unique to Jewel for the ardent Pokemon fanatic to collect ’em all! 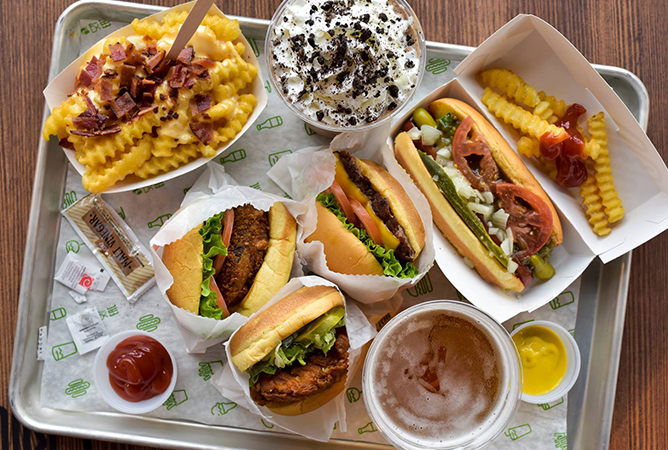 After the announcement late last year, it seems that we’ll finally be able to relish in the goodness of a Shake Shack meal at their debut Singapore outlet. Occupying two floors with a spectacular view of the Forest Valley, the hugely popular American casual restaurant chain will not only serve ambience, but also their trademark food items such as the ShackBurger, Shack-cago Dog and the frozen custard ice cream. Though it’s not considered an outlet of sorts, the sheer beauty of the Shiseido Forest Valley makes the list due to the extensive space this four-storey indoor forest occupies. If you need to take a break from all the shopping frenzy, head here to take in the splendour of its magnificent waterfall located at the core of the Shiseido Forest Valley, or enjoy a leisurely hike up two cobble-stoned walking trails to explore another attraction at the topmost level. Although Starbucks is a common sight around Singapore and Changi Airport, none can compare to this two-storey flagship store at Jewel Changi Airport. 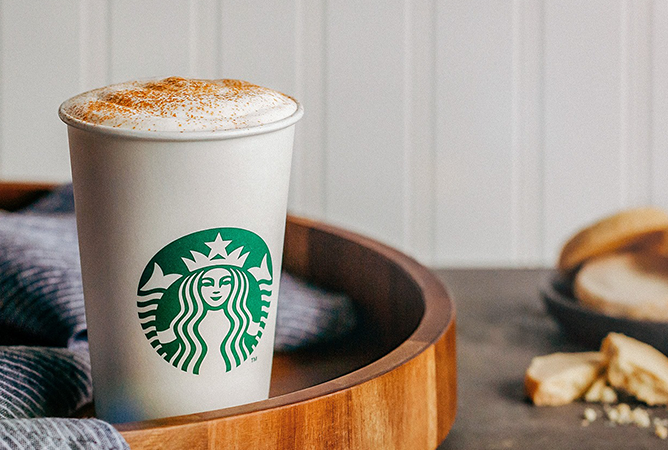 Not only is it going to be the first massive outlet with ample seating, this new caffeine haven promises to serve the best of Starbucks to you with an interactive Coffee Bar, as well as a locally-inspired food menu that is freshly prepared onsite. Jewel Changi Airport opens on 17 April 2019, with ticketed sneak previews happening from 11 to 16 April. It’s festivals, concerts and fairs galore all month long as megastars and global exhibitions open their doors in Singapore. Here’s what you should mark down your calendars for this April! 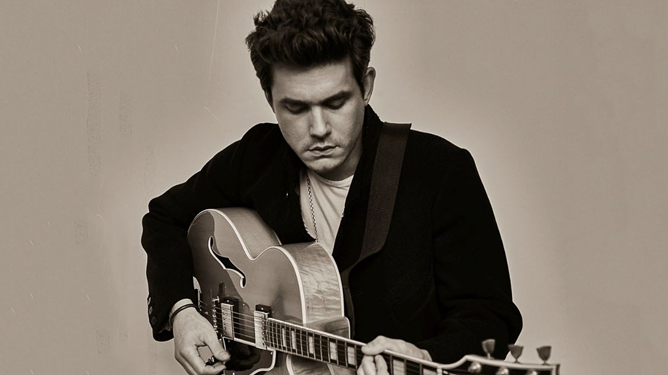 This isn’t an April Fool’s joke: American singer-songwriter John Mayer will be making a stop on our sunny shores for his 2019 Asian tour. Be ready to be regaled by the man himself in his debut Singapore performance through two setlists of more songs than ever performed before. Limited tickets available from $108, visit Sports Hub Tix for more information. There’s more than meets the eye to the lone man or woman you see performing on the streets or along the subway tunnel. 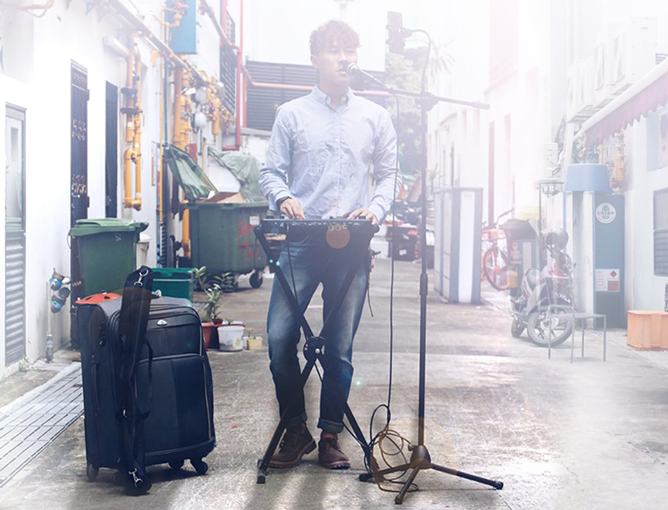 In an intimate hour-and-a-half show within shophouse theatre [email protected], 22-year-old university student and busker Yee Kien will share his bittersweet experience of being a street musician through a medley of songs. Tickets from $20, visit Eventbrite for more information. Wannables, rejoice! 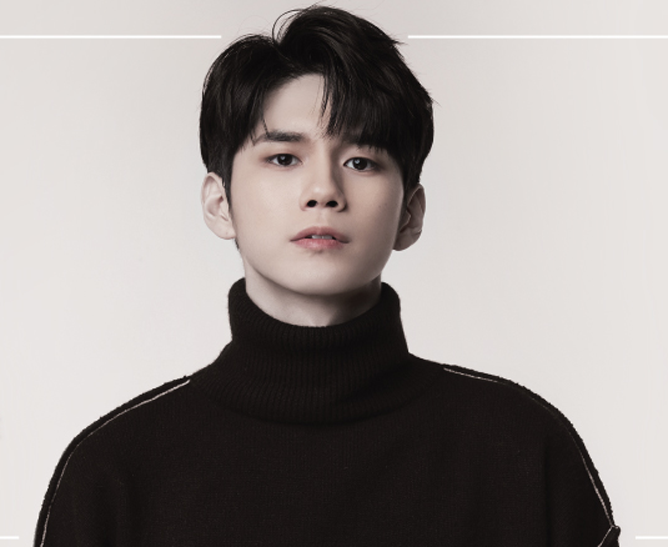 Ong Seong Woo of Wanna One fame will be back in Singapore for his first solo fan meeting tour at [email protected] Besides getting to interact with the fans, the multi-talented star will also be showcasing his charms as a solo artiste through a series of performances and special stages. After a successful one-off show as part of her Speak Your Mind tour last October, platinum-selling songstress Anne Marie will be back in Singapore to stage a full-fledged concert at the Capitol Theatre. With hits like ‘2002’, ‘FRIENDS’ and ‘Alarm’, you can be sure of an electrifying night with the British pop queen. 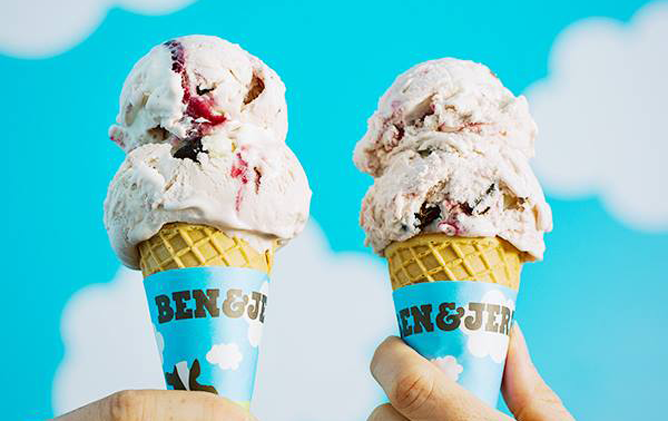 It’s that time of the year again: Ben & Jerry’s signature Free Cone Day is returning once again on 9 April! Both Scoop Shops at Dempsey and [email protected] will be offering a free scoop to everyone who heads down. But don’t just walk away with your free cones – show your support for migrant worker society Transient Workers Count Too (TWC2) simply by snapping a picture of your ice cream and hash-tagging #FreeConeDaySG, #BenandJerrySG and #TWC2SG. For every Instagram post, the brand will donate $1 to TWC2! Visit Ben and Jerry’s Singapore for more information. 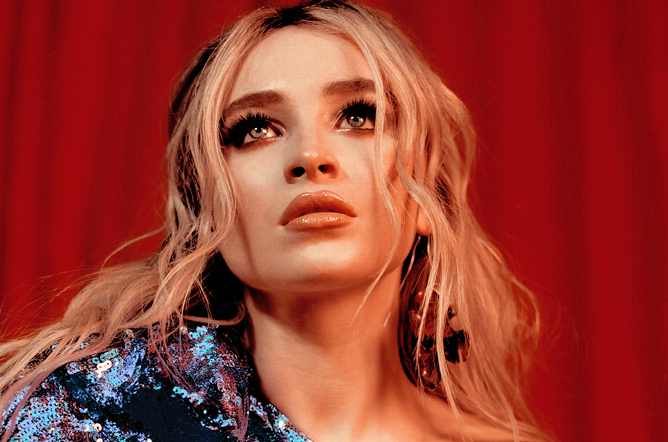 Powerhouse pop star Sabrina Carpenter will be bringing her strong vocals and dance hits to Singapore for her first show on our sunny isle. Some of her popular tracks include ‘Almost Love’, ‘Sue Me’ and ‘Paris’ – all of which will make an appearance during her long-overdue debut. Tickets from $88, visit SISTIC for more information. 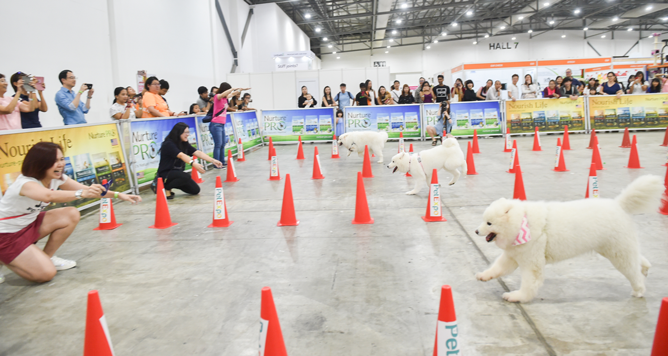 Fur moms and dads, Singapore’s largest pet fair is back once again! The sixth edition will bring in a whole slew of talks, workshops, competitions and the first charity dog grooming event of its kind to raise funds for rehoming partners. Look forward to new fashion accessories and gourmet food products (think dog-friendly ice cream and gluten-free animal superfood) as well – only the best for your pets. Tickets from $5, visit Pet Expo for more information. 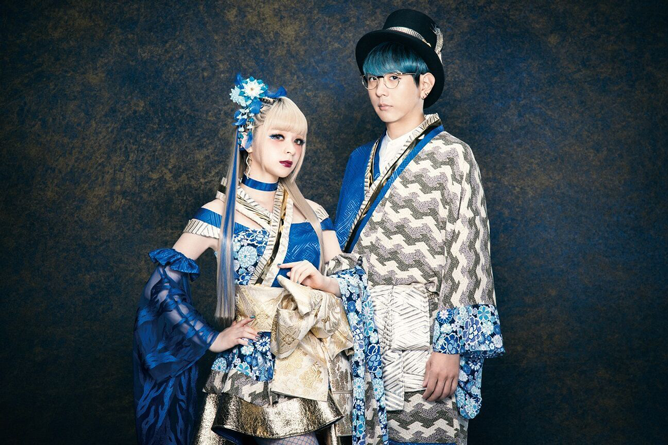 Anisong fans would be pleased to know that Japanese pop-rock duo GARNiDELiA will finally be holding their first solo concert in Singapore, after multiple I Love Anisong sets in the past few years. Vocalist MARiA and producer toku will be performing their hit anime themes and Eurodance-style tracks during a one-night-only show at [email protected] Box, including ‘MIRAI’ (ending theme of Gunslinger Stratos), ‘Yakusoku -Promise Code-‘ (ending theme of Qualidea Code) and ‘Désir’ (ending theme of Fate/Apocrypha). Tickets from $88, visit APACTIX for more information. Revisit your childhood with Lewis Carroll’s Wonderland, the latest exhibition at the ArtScience Museum. 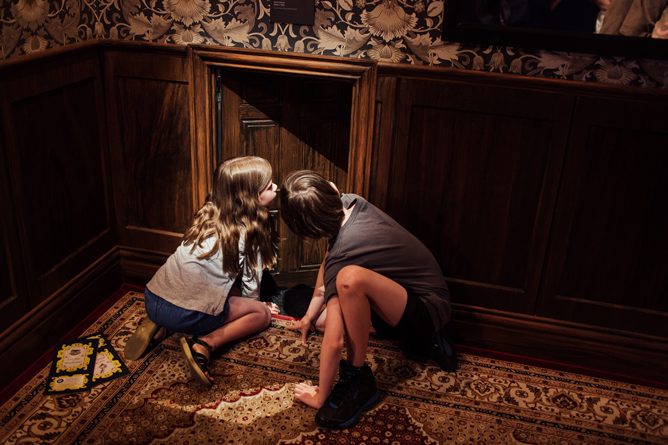 An interactive and playful set envisioned by the Australian Centre for the Moving Image, explore the timeless tale of Alice and friends through iconic moments like the Mad Hatter’s Tea Party and Pool of Tears. Tickets from $12, visit Marina Bay Sands for more information. 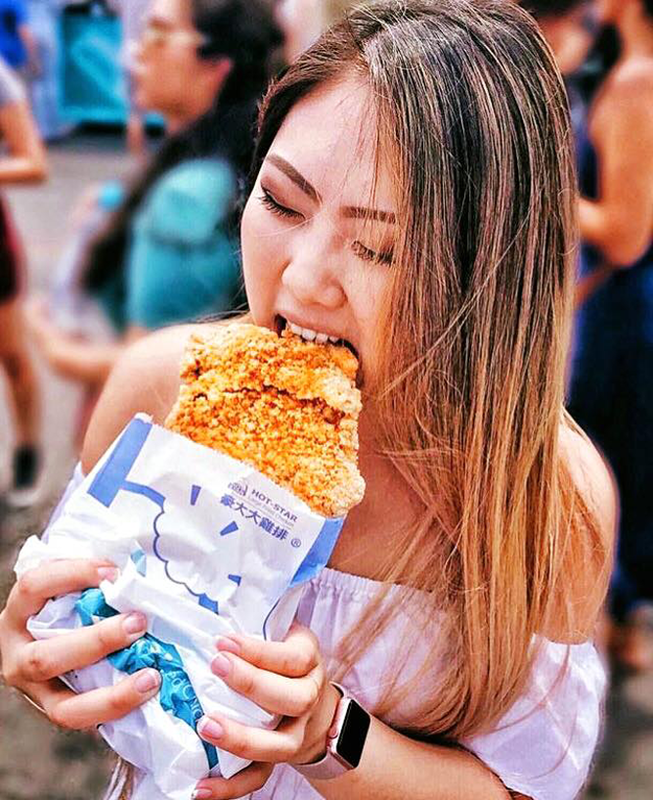 If you’re missing the hustle and bustle of Taiwan’s famous night markets, put down your passport – you’ll be able to experience the much-loved Shilin Ye Shi concept right here in Singapore! For two weekends, The [email protected] in Singapore Turf Club will be transformed into a fair of Taiwanese and local street food, artisanal products and arcade games, complete with live performances and movies. Admission is free, visit Shilin Singapore for more information. Following his two sold-out shows in November last year, Ed Sheeran will be returning for his Divide Tour on 26 April! 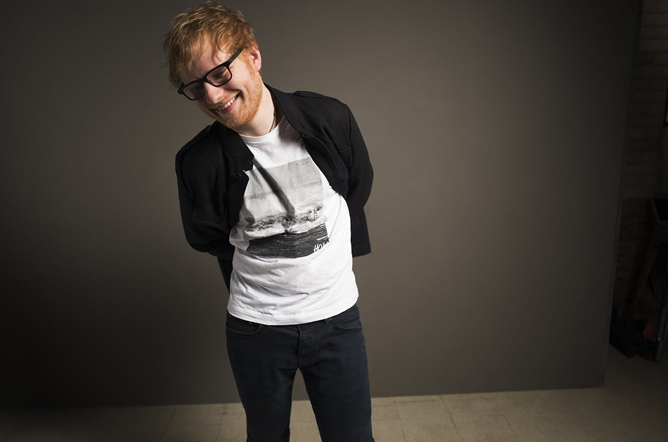 The red-headed English crooner will serenade fans at the National Stadium, with earworms like ‘Perfect’, ‘Shape of You’ and ‘Thinking Out Loud’ from his vast repertoire of songs. Bonus: the highly popular Japanese rock band ONE OK ROCK will be opening the show! Tickets are fully sold out, visit Sports Hub Tix for more information. Love music, art and beaches? Then the Skechers Sundown Festival is for you. Themed to be an “Asia Music Wonderland”, Asian music, food, art and culture take centre stage at the 3D2N event. More than 50 artistes will be taking part, from familiar acts like homegrown singer Charlie Lim to Korean hip-hop collective MFBTY and K-pop boy band iKON. Tickets from $85, visit Sundown Festival for more information. We ‘Gotta Go’! 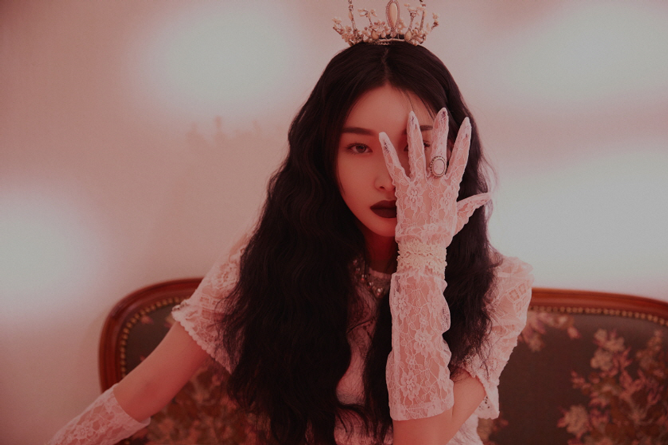 K-pop songstress Kim Chungha will be in town for her first ever fan meeting, where she will delight fans with hits such as ‘Love U’, ‘Roller Coaster’ and ‘Why Don’t You Know’. The former member of monster girl group I.O.I will also get up close and personal with lucky Byulharangs through a hi-touch session and group photos, so don’t wait! It’s been played to over 145 million people across 30 countries and is the longest-running show on Broadway, but The Phantom of the Opera never ceases to amaze crowds with every show. 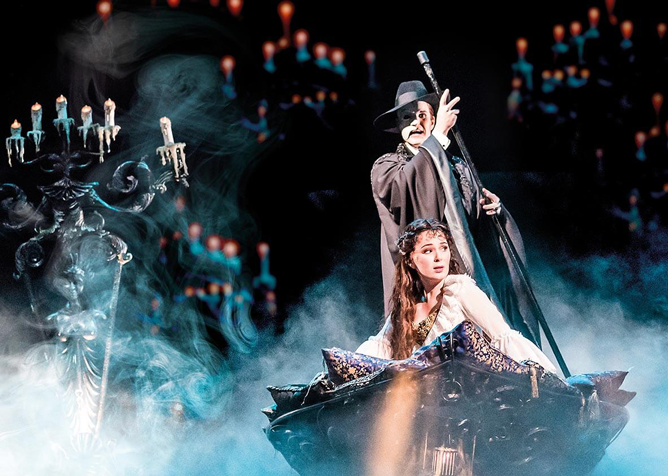 Andrew Lloyd Webber’s award-winning musical will be in town for a month at the Sands Theatre at Marina Bay, where guests follow the tragic story of an obsessive opera house phantom falling in love with a young soprano singer. Tickets from $75, visit SISTIC for more information. 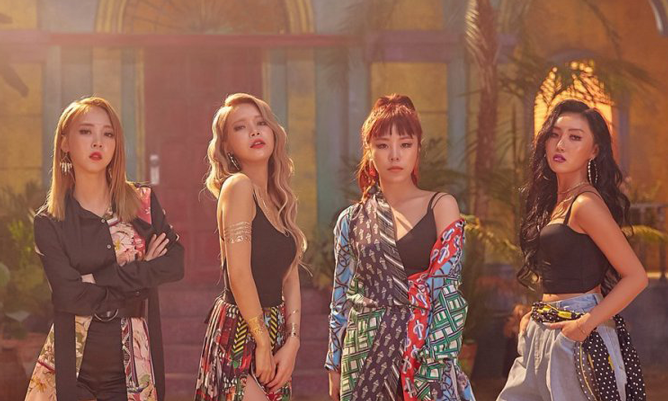 Singapore MooMoos will be treated to their queens’ first ever fanmeeting this April, as Mamamoo drops by for the Singapore leg of their Asian tour. The quartet is set to stun with their electrifying stage presence and explosive vocals – it’s definitely going to be quite the show! Tickets from $108, visit APACTIX for more information. What are your plans this April? Let us know in the comments below!